Traffic management plans were formed to deal with site access difficulties, with the library being situated on a main road in Nottingham. 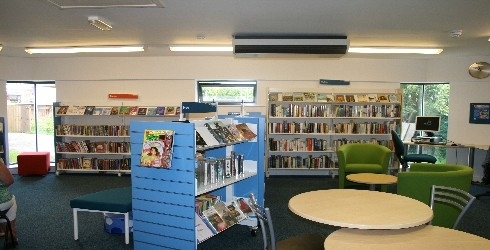 The use of lean programming enabled Robert Woodhead to keep within the tight time constraints of the 20 week programme before the library opening was scheduled. The first floor and external renovation were added to the contract later as extras but also to be completed within the given time limit. Creating the additional space required through communicating and listening to the clients and local community needs. Developing further areas of the library to create a consistent updated appearance throughout. After the pain/gain calculation, the library got a share of £3500 saving, producing an opportunity for the library to invest elsewhere. A very tight time limit of 20 weeks was achieved in time for the pre-organised opening date.